After weeks of making project proposals and beating deadlines, I thought I need a break. I don’t want to travel far from Iligan yet, but I just need to go outside the city to get my mind off work – do a little shopping, food tripping and perhaps watch a movie. 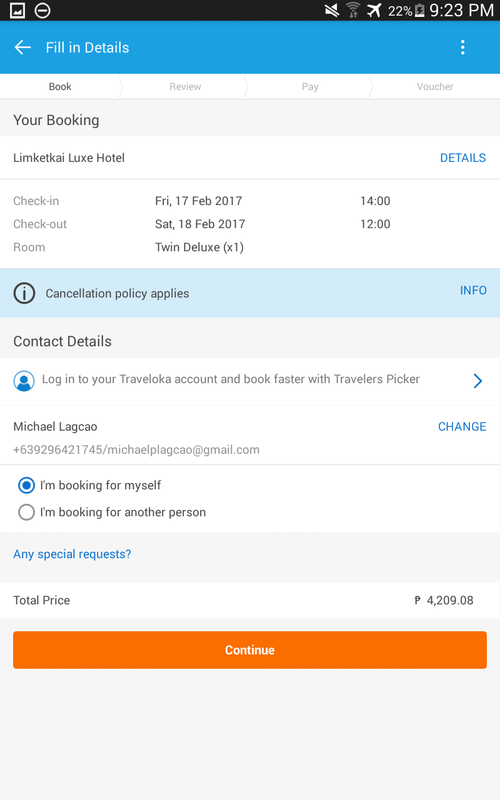 So I decided to spend a weekend in Cagayan de Oro and stay at the Limketkai Luxe Hotel. I love staying at the Luxe. 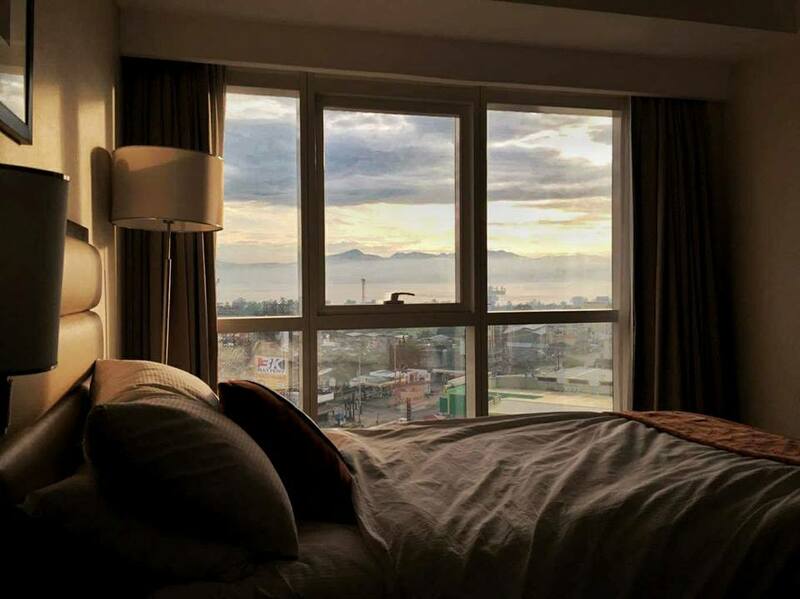 Aside from its great service and accessibility to malls and dining places, their rooms, especially the upper floors have a great view of the Macalajar Bay. I you are an early riser like me you can enjoy watching the sunrise in the comfort of your bed. 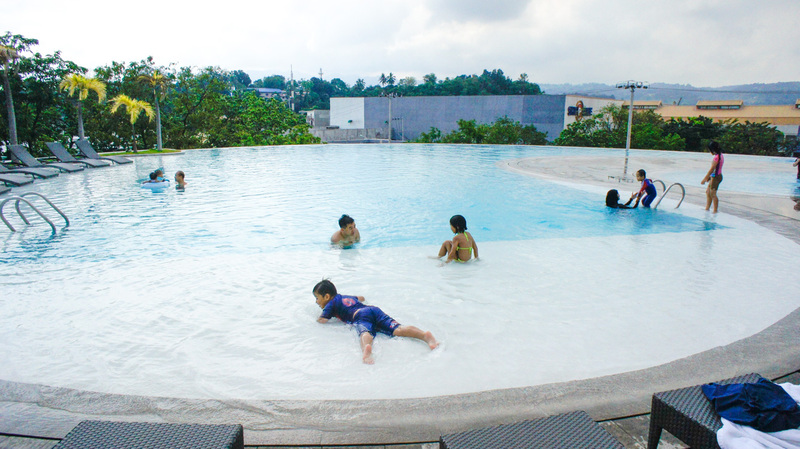 Taking a dip or doing a few laps at their infinity pool is something that I also look forward to. I take pleasure swimming here in the early evenings. Their pool is like a refreshing oasis in the middle of an urban jungle. Although I have already stayed at the Luxe on several occasions, I never had the opportunity to make the bookings myself. When I was still connected with the Iligan Chamber of Commerce, all my travel arrangements were done by one of the staff. But now that I am freelancing, I have to do the bookings myself. The solution? Use a travel app. A travel blogger friend recommended that I check out Traveloka. She travels all over and she always get a good deal on hotels and flights from the app. Honestly, I’ve never heard of Taveloka before but I decided to give it a try. Using the Traveloka App I downloaded the Traveloka app and saw that it has a very intuitive interface. 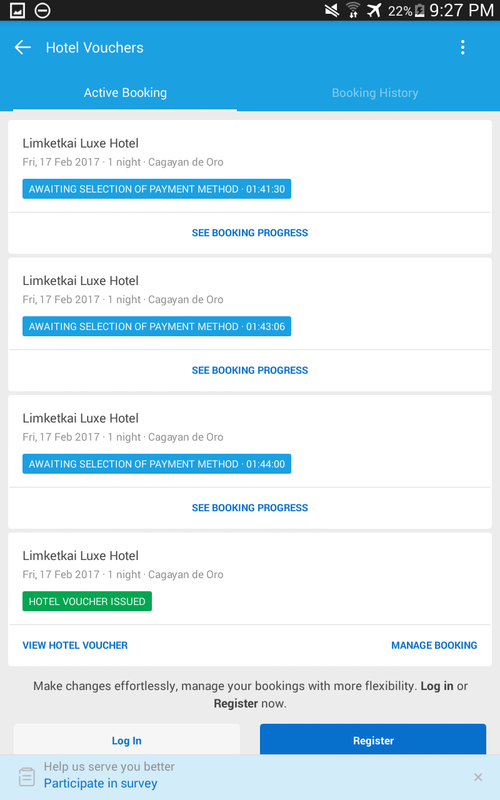 The menu on the dashboard reflects all the things I wanted to do when planning a trip – booking a hotel whether its local or international, booking flights both local or international, price alerts and of course promos. I love promos so it’s a great thing they also have that. To start the booking process, I tapped the Hotels button. This led me to a search page. If you are still searching for a hotel, on the destination field you can just enter the name of the city you wanted to go to and you will be presented with a wide array of hotel choices with corresponding discounted deals. 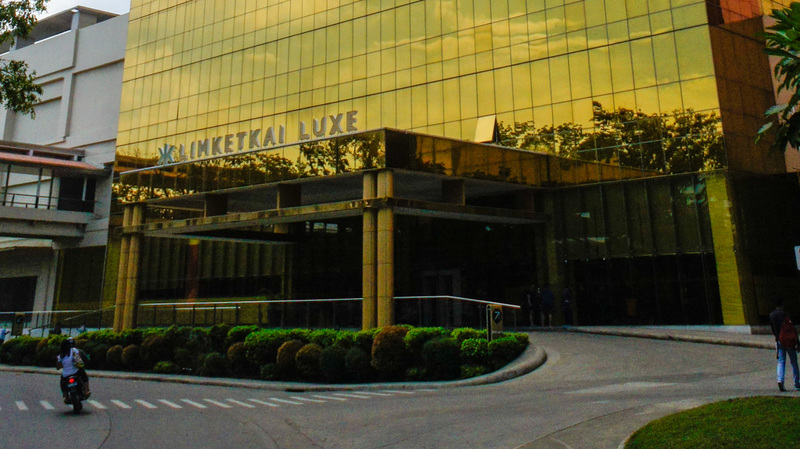 Since I already have a hotel in mind, I just typed in Limketkai Luxe Hotel. I supplied the rest of the information that was in the form and tapped search. 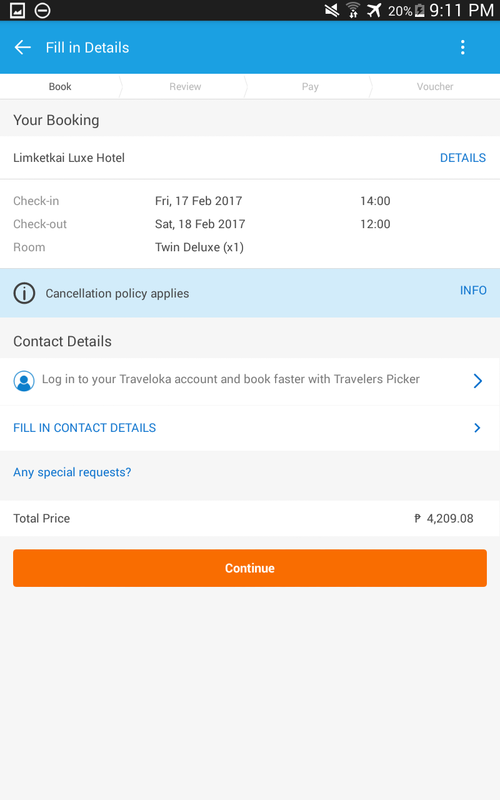 The Traveloka app then led me to the Limketkai Luxe Hotel page. 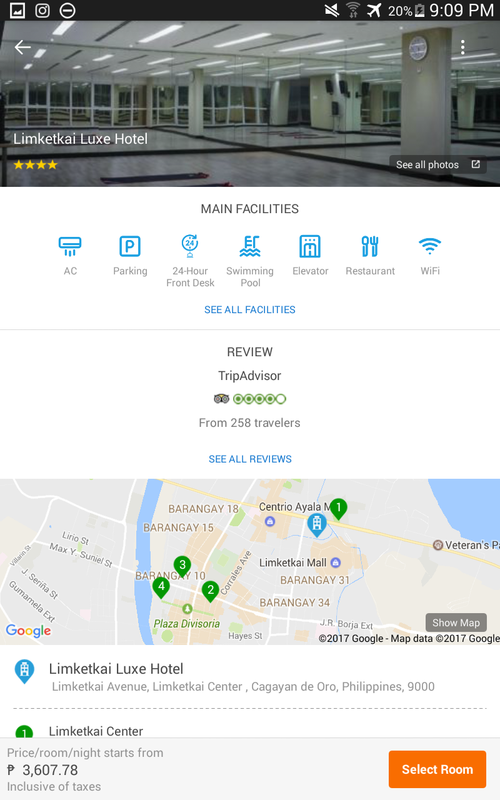 In this page you can see icons representing all the facilities that the hotel has to offer and a location map. As you scroll down, you will see a listing of all the available rooms and their corresponding price. After I selected the room I wanted to stay, I was led to the booking page where they asked me to input my contact information. Since I already have an account, I just logged in to complete the information required. As I have said earlier, the app is very intuitive, it guided me with a series of screens that made the payment process fast and as simple as possible. When I reached the payment page, I was presented with several options on how to pay the booking. I can either pay via debit/credit card, over the counter payments at any of the 7-11, MLhuiller / Cebuana Lhuiller outlets or through their partner banks. If you have a promo code, you can also use it on this page to avail of discounted rates. To avail of promo codes, try to check the Ongoing Promos Tab for discounts. After making the payment, I was issued a hotel voucher and an email notification of the transaction. 1. Simplicity and ease of use. 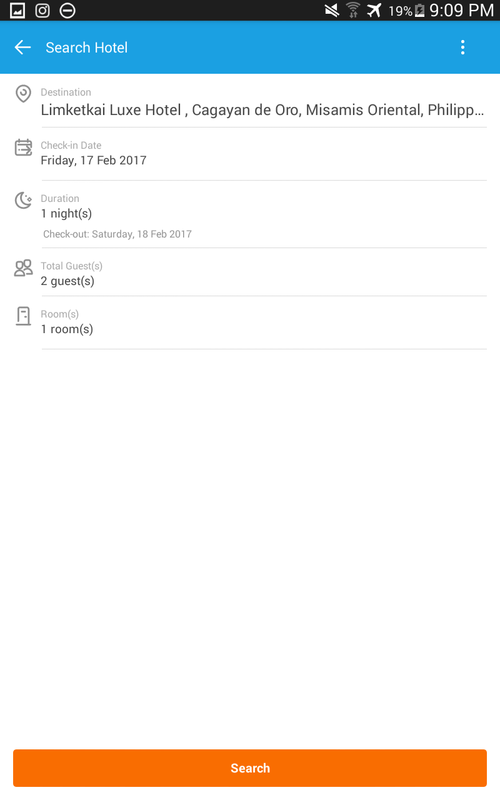 Although it was my first time to make a hotel booking, because the interface was very intuitive, it seems as if I’m using the app for years. 2. Ability to pay offline. Giving users the ability to pay over the bank counter or at the 7-11 or the MLhuiller / Cebuana Lhuiller outlets is a great idea. 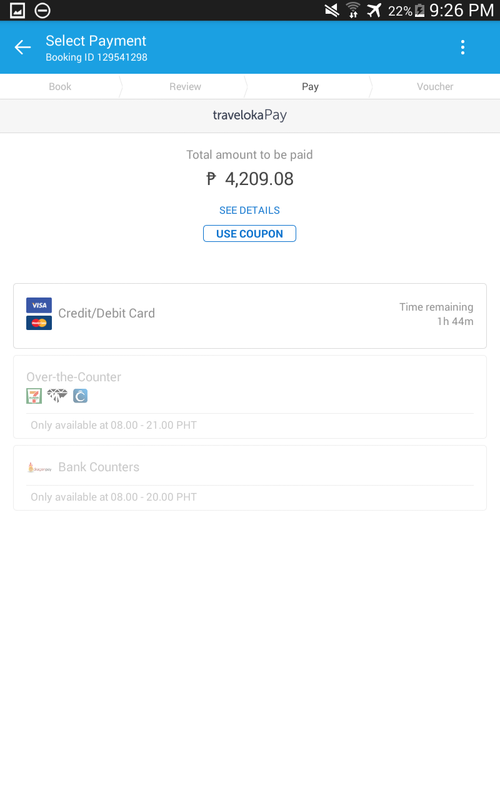 I know of some people who doesn’t have a credit card or a debit card but travel a lot locally, I’m sure using Traveloka will give them wider options in choosing hotels to stay as well as give them access to deals and discounts that they will appreciate. 3. What you see is what you get! I have seen in other booking sites that advertise cheap room rates but when I look at it closely they have not included a VAT and other fees. So when I went through the booking process, it ended up way more expensive as advertised . 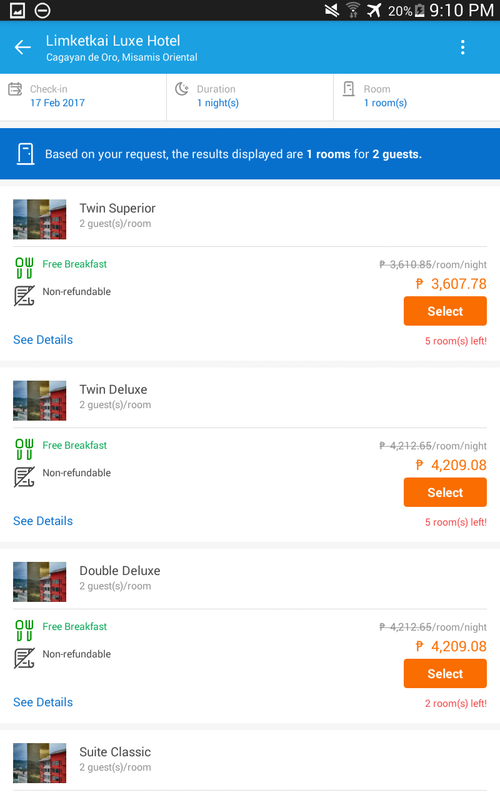 But that’s not the case with Traveloka – you pay the advertised room rates inclusive of taxes and charges. 4. Promos and Deals. Just like any traveler, I am always on the look out for promos and deals. If an app gives me that, I’m definitely using it. 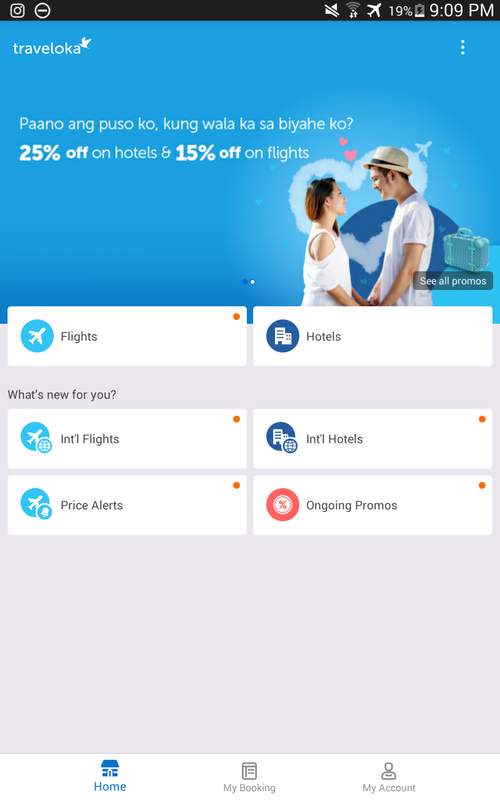 So if you are travelling soon, try using Traveloka to book your hotels and flights. You will be delightfully surprised at how much savings you will make in using this app.